He saw through the smiles and knew the courage it took for his strong wife to push through the pain of her cancer to be fully present in the moment for those around her. And she was. She was fully present and all there for those in her midst. Her husband of over fifty years was sensitive to his wife and reached out in compassion to encourage her. 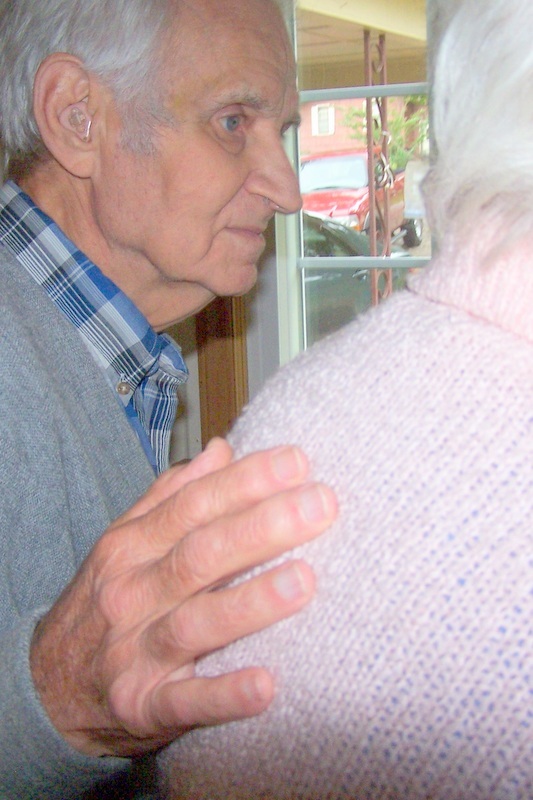 Despite some hearing loss, memory issues, and aches and pains,he was fully present for his beloved. All there. Love that.